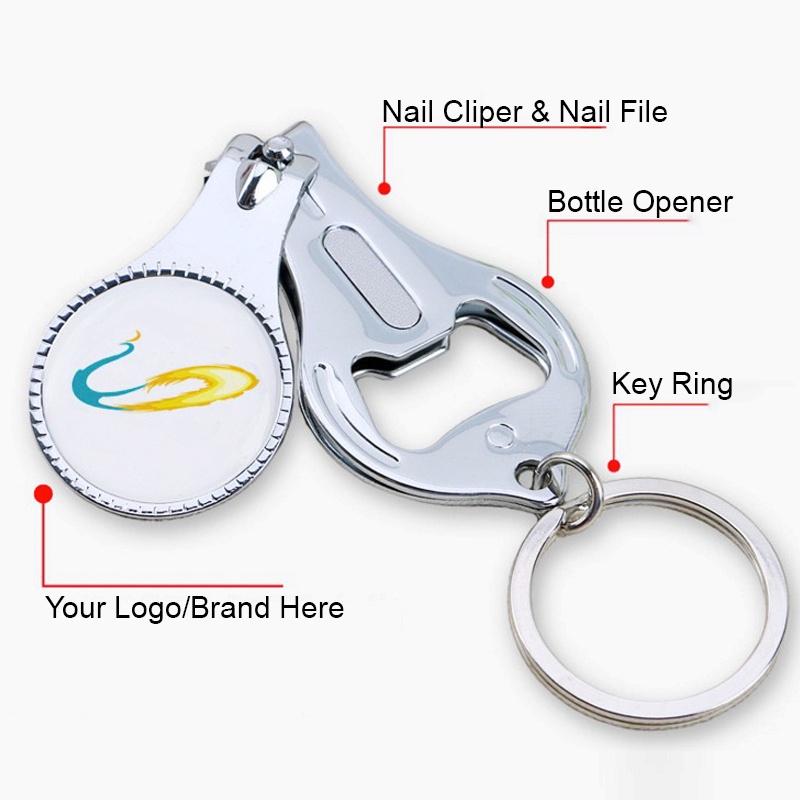 This multi-function nail clipper made of quality chrome plated steel, features with nail file, bottle opener and key ring. Add your logo by glue imprint method, make it to be a gift for your customers so that they can see your brand everyday. Package: 1 pc/opp bag, 1000 pcs/ctn, 70 lbs/ctn.